Professor Sheila Htay is currently engaged with The Business School, Humber College as a partial load professor. Prior to this, she was teaching at IIUM Institute of Islamic Banking and Finance (2009-2014), the International Islamic University, Malaysia and at the International Islamic College (IIC), Malaysia (2001-2009). She has experience teaching certificate, diploma, undergraduate and postgraduate’s studies. 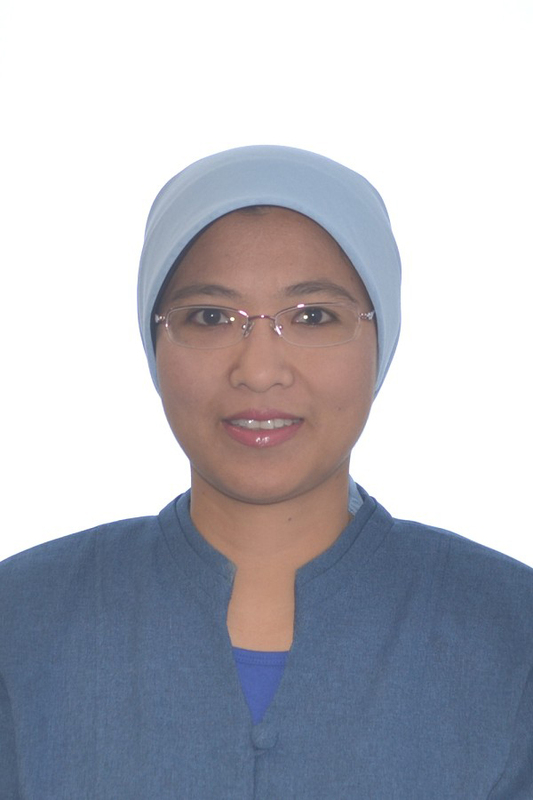 Professor Htay is experienced in teaching various areas of Islamic finance, including Islamic banking, Takaful, Islamic capital market, risk management, research methodology, financial accounting and reporting, auditing, ethics and governance. Moreover, she has taught the subjects related to economics, finance, business, mathematics and statistics. She has served as the manager of Research and Development Department at IIC (2005-2008) and Ph.D. programme Coordinator for IIUM Institute of Islamic banking and finance (2009-2014). She has been a trainer, moderator, and subject matter expert at the Islamic Banking and Finance Institute Malaysia (2011-2013). She has served as an academic board member of IIC (2014) and curriculum assessor for academic programs. Professor Htay has excelled in her career and has received several awards such as the Loyal Award (2006), Best Lecturer (2nd place, 2006/07), Academic Excellence Award (2005), Best Manager ACAD (2006/07) while she was a lecturer at IIC. While she was serving at IIUM Institute of Islamic Banking and Finance, she was nominated for the best lecturer. She has received academic excellence awards such as Best Accounting Student in Taxation (2011) and Best Student Award for Master of Science in Accounting (2005) while studying at the International Islamic University, Malaysia. Professor Htay actively participates in research and has received several research grants. She has published more than fifty research papers in scholarly journals and written three books related to governance and accounting for Islamic banking and Islamic Insurance. She has presented more than forty papers at local and international conferences. She has received several awards for her research excellence. She was awarded the Bronze Medal for the research titled “Corporate Governance and Risk Management Information Disclosure: Empirical Evidence from Malaysian Listed Banks” and “A Panel Data Analysis on the Relationship between Corporate Governance and Bank” at IIUM Research, Invention & Innovation Exhibition in 2011, Best Paper Award for “Simultaneous Relationship among Market Performance, Risk and Disclosure Quality: Empirical Evidence from Malaysian Listed Banks” at International Islamic Accounting and Finance Conference Organized by Universiti Teknologi Mara in 2012 in Malaysia, “Proposed Best Practices of Financial Information Disclosure for Zakat Institutions: A case Study of Malaysia” at the International Conference on Innovation Challenges in Multidisciplinary Research and Practice (ICMRP) in 2013 in Malaysia, and “Insurance as the Backbone of Risk Management at the International Conference on “Trends in Multidisciplinary Business and Economic Research” in 2014 in Thailand. Moreover, she has received 2nd Winner for “Integrating Zakat, Waqf and Sadaqah: Myint Myat Phu Zin Clinic Model in Myanmar” at the 1st International Conference on Islamic Wealth Management organized by ICIWM Tazkia Institute for Research and Community Empowerment in 2013 in Indonesia. Research Interests: Islamic banking, Takaful (Islamic insurance), Islamic Capital Market, Shari’ah Governance, Corporate Governance and Financial Reporting.